Like many local businesses, Cambridge Markets had very humble beginnings. Launched in 2015 by Madelienne Anderson (photographed, left, with Rebecca Fox), Cambridge Markets first ran at Vaucluse Public School as a community fundraising event. Such was the overwhelming sense of communal enjoyment in the market that Mads quickly realised that markets are places that people love, want and need. 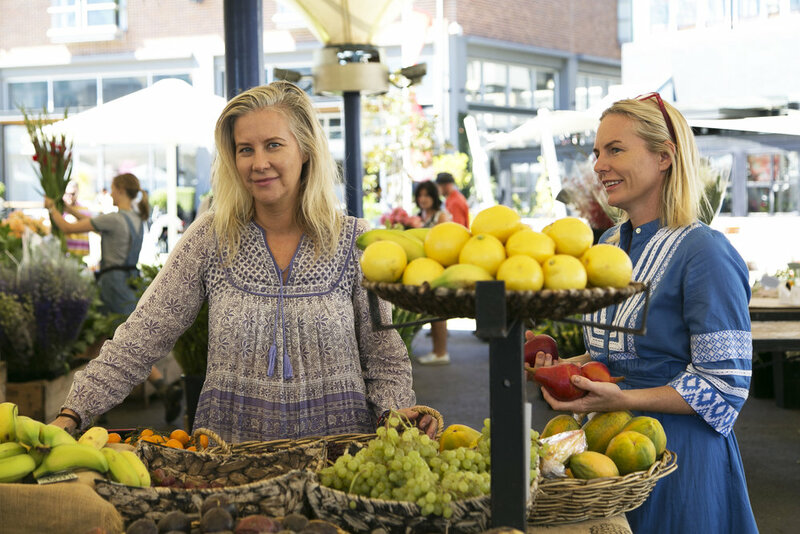 She was joined in the business by long-time friend and passionate organic and ethical food advocate Rebecca, and the business has grown to incorporate a number of leading events around Sydney's eastern suburbs, including the seasonal Cambridge Market at Watsons Bay and the weekly farmers' market at Rose Bay. And now, the market at the Entertainment Quarter. Mads and Bec believe the outpouring of support for Cambridge Markets has come about because they work tirelessly to source and select the best mix of stalls for each market. Where possible, they seek organic, biodynamic and local produce; encourage small, emerging and artisan producers; prefer healthy wholefoods and earth-friendly farming practices, and support community-based micro businesses. They believe that markets promote happier, healthier communities by encouraging shoppers and retailers to interact, support each other and connect. It's the personal touch, love and care that is the Cambridge Markets difference.